The tool sheet hasp for the padlock was pried off the building by unknown parties. When the would-be thieves saw the array of shovels and a few other gardening tools, they left the contents untouched. All that was required was re-affixing the hasp to the building, and the shed was again secure. Elsewhere, the rains took their toll. In the 850 block of Sunset Cliffs Blvd., broken asphalt was repaired, the erosion drainage channel was fixed, and all seems to be holding steady. In a different location near Monaco Street, fencing washed away, and 20 ft. of new fencing was placed. Straw wattles have been ordered for the parking lots that need them in preparation for the upcoming winter storms. It’s a good thing that the tool shed is ready to go, because fall native planting is about to start in the portion of the park beyond Ladera Street. Tuesday, November 10 is the first planting at 3:00. The web site, www.sunsetcliffs.info always has the work party information and all are welcome; with a half-acre of new plants in the works, volunteers with shoveling skills are always needed. The native plants at the entryway are also multiplying with new ones added around the sign. 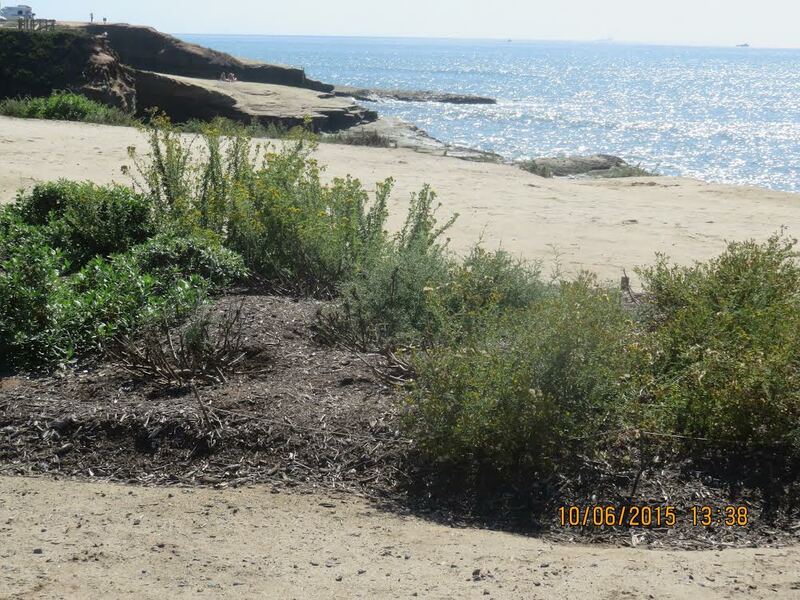 Some concerns about erosion caused by the digging were addressed at a meeting of the Native Plant sub-committee. At the same time, differences of opinion arose over the use of herbicide on what some considered weeds and others considered native plants. The SCNP Council and the Native Plant Society, who is authorized via a right-of-entry permit by the city to perform this project, are working together to resolve these issues. 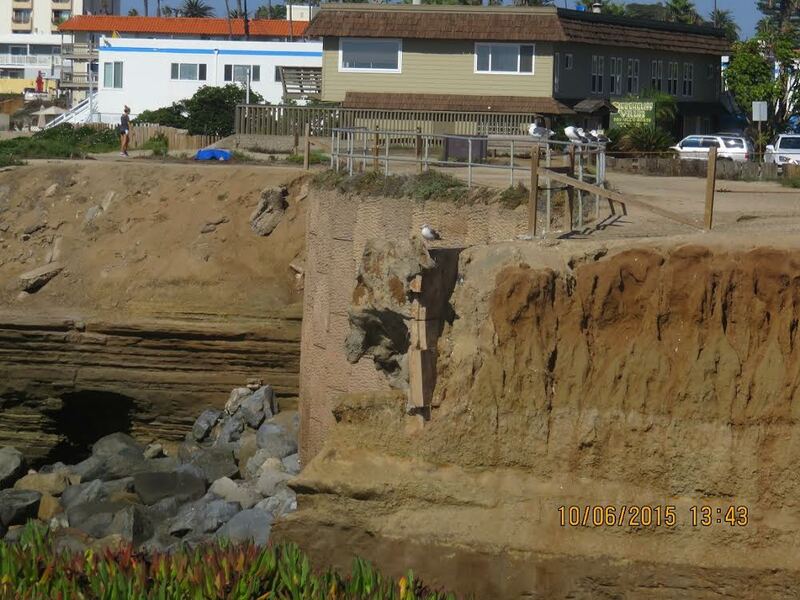 Dr. Craig Barilotti also presented his concerns about erosion just south of the entryway to the park along Sunset Cliffs Blvd. The Southern corner of the sea wall composed of panels is not doing too well. These are not quick-fix items, and this appears to be more than a repair. 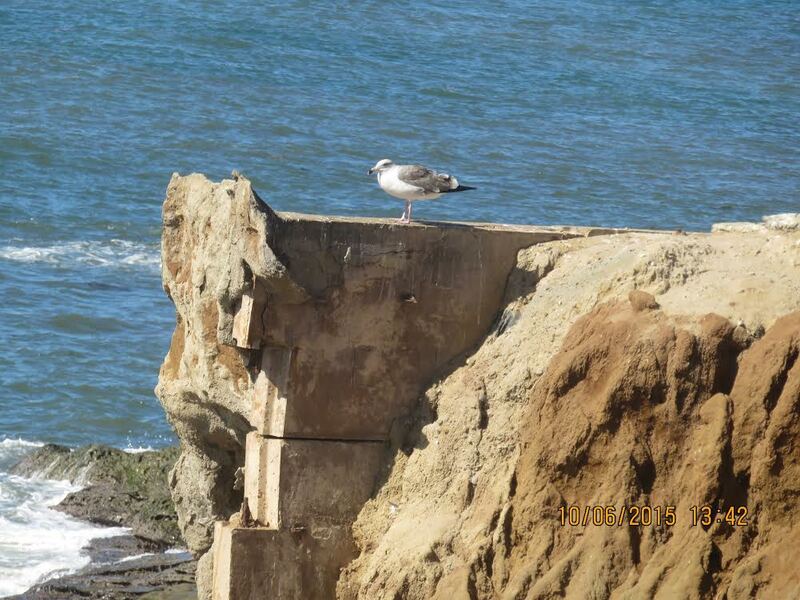 On the paperwork front, the city has allocated $1,000,000 for Drainage Improvements, funding to be finalized at the Regional Park Committee meeting, and the City’s grant proposal for $800,000 for Sunset Cliffs Natural Park Hillside Improvement and Trails will be evaluated by the Coastal Conservancy at their meeting in December. Blue Pacific Construction has been selected as the contractor for Phase I of the Hillside Projects. Something real may happen sometime soon with all this progress. Chairman Ann Swanson conducted the meeting; city of San Diego Parks & Rec representative Vince Paniagua presented the city updates. Has anyone noticed the swarms of Red/Black tick like insects all over the vegetation At and South of Ladara st. ? I have never seen them before and IDK what they are doing to the vegetation but they are multiplying! These bugs are scantus aegyptius and found in great number all over the county, a recent arrival. Search on the name and you’ll find lots of information. This one is a good summary. We tried to get photos of them on September 9-10, but the swarm seemed to disperse quickly. Thanks. I was trying to identify them from Google Goggles and nothing came up.